During the past two decades Membrane Science and Technology has made tremendous progress and has changed from a simple laboratory tool to large scale processes with numerous applications in Medicine and Industry. 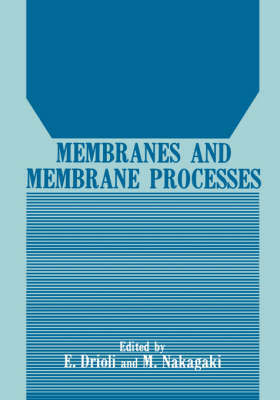 In this volume are collected papers presented at the First Europe- Japan Congress on Membrane and Membrane processes, held in Stresa in June 1984. Other contributions to the Conference will be published in a special issue of the Journal of Membrane Science. This Conference was organized by the European Society of Membrane Science and Technology and the Membrane Society of Japan, to bring together European Scientists and Engineers face to face with their colleagues from Japan; in both countries membrane processes will play a strategic role in many industrial areas in the 1990s, as predicted by the Japanese project for Next Generation Industries and by the EEC Project on Basic Techno- logical Research (BRITE). The large number of participants, of about four hundred from twenty- six countries including USA, Australia, China and Brazil, the quality of the Plenary Lectures and Scientific Communications made the Conference a significant international success.